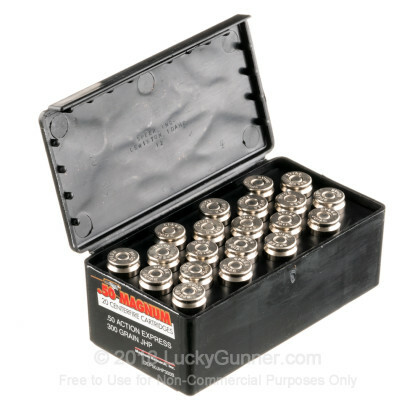 This ammunition is manufactured by Magnum Research Inc. (MRI), the same group who developed and still produce the famous Desert Eagle pistol. 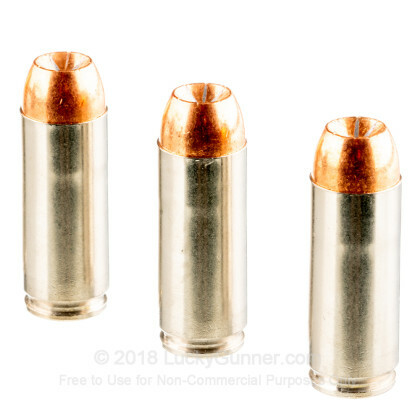 Why should you put anything else in your prized .50 AE chambered pistol? You can't get any better than a round created by the best. 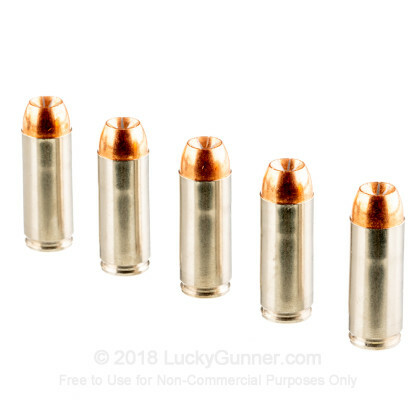 MRI developed the Desert Eagle in the mid 1980's and kept the licencing and patents close in hand ever since until they brought into the Kahr family in mid 2010. Manufactured in Israel for must of its history, the prized handgun is now produced in Minnesota. 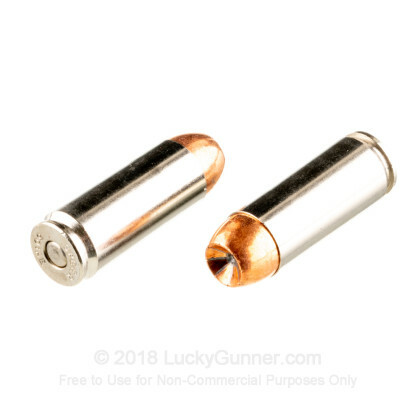 The jacketed hollow point bullets are designed to achieve high-impact energy transfer and controlled expansion upon impact. 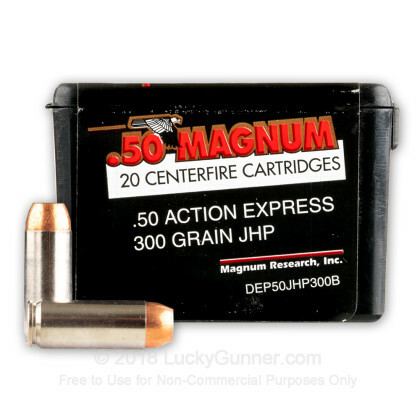 We don't have any reviews yet for this particular .50 Action Express ammo from Magnum Research. 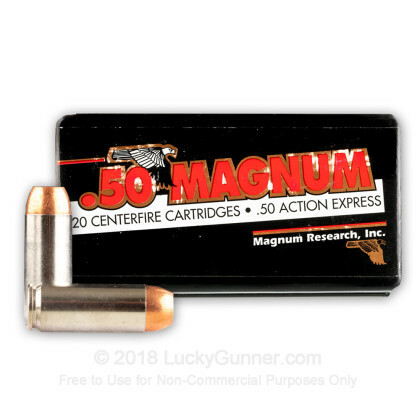 If you'd like to be the first to review this particular .50 Action Express ammo from Magnum Research, fill out the form below.